"I have only drawn what I have seen with certainty." "Responding to criticism that he preferred an artistic drawing to an accurate one, he replied, "I know no difference between the two." "...every man sees after his own fashion and draws after his own fashion." Astronomical sketching is as old as stars on petroglyphs, and as new as Arp peculiar galaxies drawn on the web. Never static, its long practice is now in dialogue with the latest electronic-image processing; yet those who draw at the eyepiece can feel part of a chain stretching back through Messier and Herschel to Galileo. Its historical depth offers a broad array of graphic tools and techniques on which to draw, from chalk and the quill pen to modern polymers and touch screens, which can be combined in ways which are ever new. Sketching still has a role in solar and planetary data collection; and drawings of all celestial objects and phenomena provide valuable data for the study of human perception; and sketching can play a role in the serious experimental archaeology of astronomy. The eyes of no two observers are the same, their equipment differs, they handle pencils differently. Astronomical sketching allows a very personal dimension into a scientific pursuit (an aspect which made some Victorian observers very uneasy, but which we can now embrace). There is more than one scientific and attractive way to draw a lunar rill, depict an occultation, and sketch a planetary nebula or a starburst galaxy. It is a perfect way to avoid the dead-end of an astronomical monoculture. It sharpens the observer, and provides a lifelong learning experience, as does CCD work at its best. The simplest of tools can be used to start, and no equipment beyond what the observer already owns is required, be it but the naked eye. No particular talent, predilection, or gifts are needed for success, for the talent grows with the practice. There is no active RASC observer who cannot begin to sketch, and learn to sketch well. 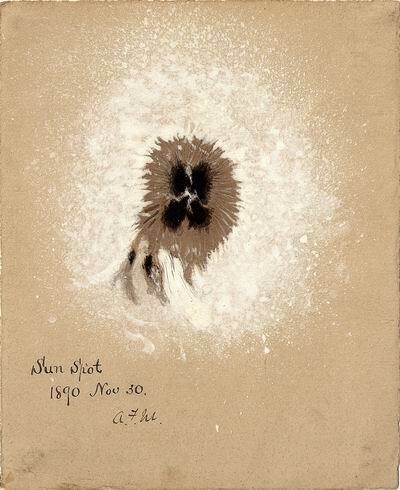 A sunspot drawing in watercolour done on 1890 Nov. 30, by Allan F. Miller, using the projection method with a 10.16 cm Wray long-focus achromatic refractor, probably from his observatory on Carlton Street, Toronto. Historical note: The Mellish technique is an astronomical application of standard procedures for using dry pastels, such as the dry-wash technique. Such techniques are described in books of instruction for those learning pastel painting. Intriguingly, many of the techniques Scott skillfully applied to depicting celestial objects can be found in the 17th- and 18th-century practice of pastel painting. It is not known if he was aware of those precedents, but he deserves credit for applying them to the modern practice of astronomical sketching. http://www.perezmedia.net/beltofvenus/archives/000567.html the best general astronomical sketching web resource. Leonor Ana Hernández, Dibujo astronómico (Barcelona: Marcombo, 2017), is a very good introductory text providing sound guidance on starting out and progressing in astrosketching. Particuarly worthy of note is the intelligent approach to achieving accuracy in the placement of celestial objects and features in astronomical drawings. Examples of the author's work can be found at the Astronómadas site. Audoin Dollfus (1924-2010), a noted professional planetary astronomer and excellent astronomical artist, offers an overview of the complementary sketching and photographic programs pursued up to the late 1950s at a leading French mountain-top observatory, in his Visual and Photographic Studies of Planets at the Pic du Midi, in Planets and Satellites, ed. Gerard P. Kuiper and Barbara M. Middlehurst, The Solar Sysytem vol. III (Chicago: University of Chicago Press, 1961), 534-571. Uwe Glahn's site, deepsky-visuell.de, offers some excellent renditions of very challenging objects. Glahn is the co-author with Ronald Stoyan of the interstellarum Deep Sky Guide (Cambridge & Erlangen: Cambridge University Press & Oculum-Verlag, 2018), which includes well over 800 astrosketches of DSOs (this is the companion volume to Ronald Stoyan & Stephan Schurig, interstellarum Deep Sky Atlas [Cambridge & Erlangen: Cambridge University Press & Oculum-Verlag, 2018]). 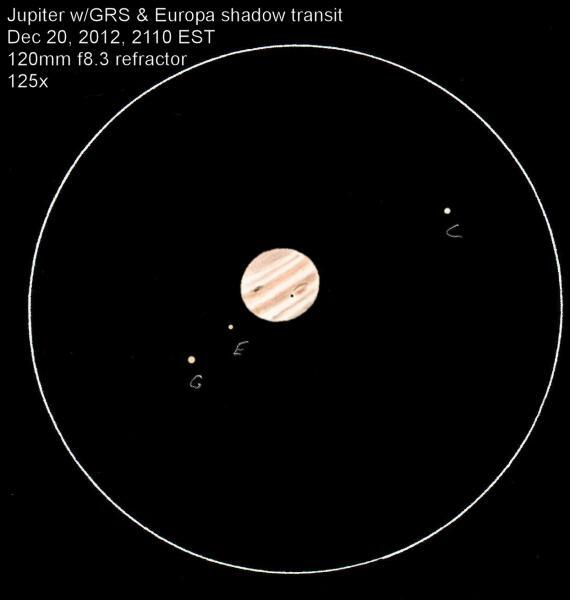 Jupiter Shadow Transit, 2012 December 20, Gordon Webster, 120mm f.8.3 refractor, at 125X — co-winner of the 1st RASC Astrosketchers' Contest! © Gordon Webster. 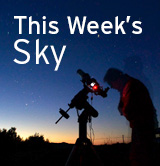 Professor Omar W. Nasim has recently been working on the role of astronomical sketching in 19th-century DSO observations http://irebs.academia.edu/OmarWNasim. The results of his studies have just appeared in Observing by Hand: Sketching the Nebulae in the Nineteenth Century (Chicago: University of Chicago Press, 2014)―based on a first-hand examination of the manuscript drawings of Sir John Herschel, William Earl of Rosse, William Lassell, Ebenezer Porter Mason, Ernst Wilhelm Leberecht Tempel, and George Phillips Bond. 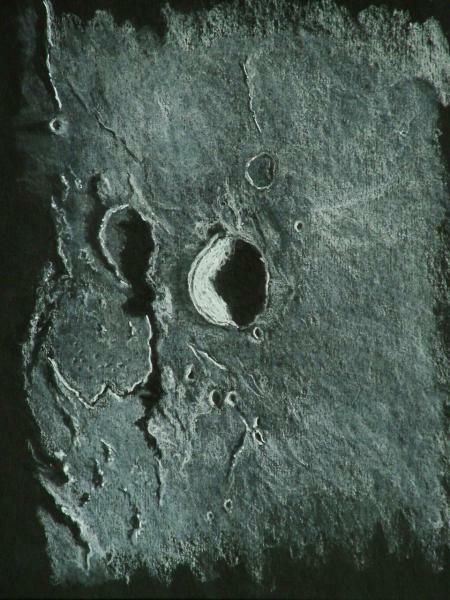 According to the publisher "Nasim focuses on the ways in which these observers created and employed their drawings in data-driven procedures, from their choices of artistic materials and techniques to their practices and scientific observation"
Craters Aristarchus, Herodotus & Vallis Schröteri, 2012 February 4, Alexander Massey, C5, f.10, at 250X — co-winner of the 1st RASC Astrosketchers' Contest! © Alexander Massey. He has also written some very useful programmes for determining the solar coordinates of features on sketches. Most moderate sized towns in Canada have at least several art-supply stores, or office goods suppliers. The best place to buy supplies for astronomical sketching is at the art stores attached to colleges (or universities) of art and design. They usually have the largest selection, best prices, and most knowledgeable staff. If there are no art-supply retail outlets near where you live, you could try internet suppliers. The RASC cannot endorse any commercial supplier above another, put please try to buy Canadian. We wish to thank Peter Abrahams, Jim Mosher, and Prof. Omar W. Nasim for advice and corrections.